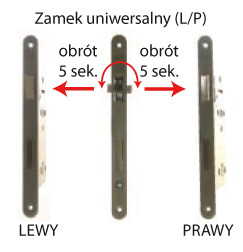 Group of locks used in PCV doors, aluminium and metal requires the determination of left-right side. 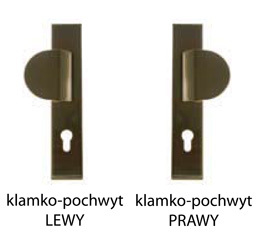 Most of the mortise locks for wooden doors are made as a universal – change of left-right side followed by turning the ratchet. 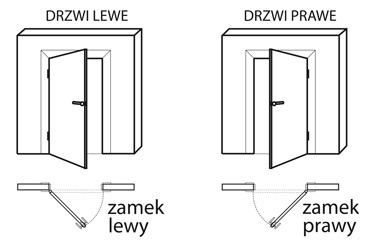 Most of the handles are universal ( can be install in left or right doors). Attention! 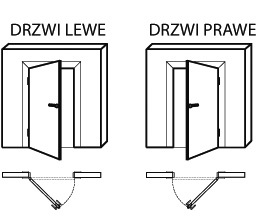 A lot of companys are using reverse designation of handles, so it’s the best to indicate door side according to the set out scheme.